Eliminate paperwork and manage all of your K9 records in one system. 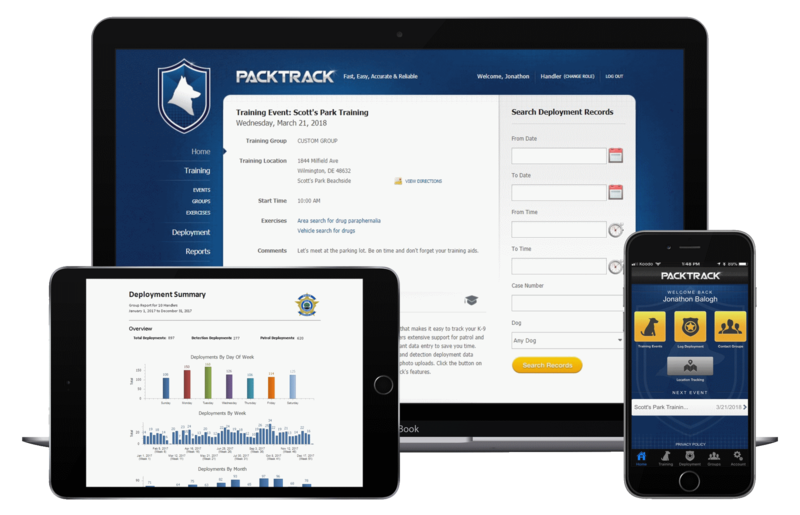 PackTrack eliminates paperwork by bringing all of your K9 training and deployment records together into one secure online system. 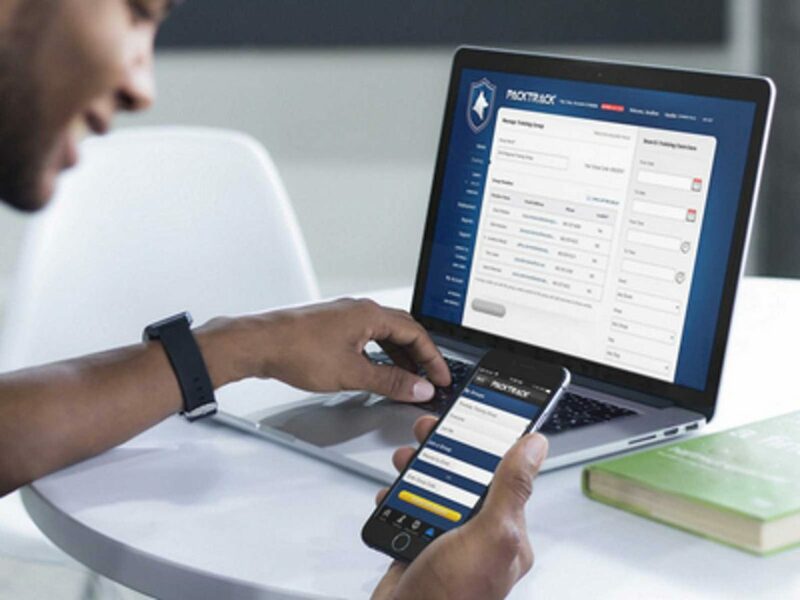 With extensive support for both detection and patrol records, carefully designed by working K9 handlers, PackTrack provides a flexible and easy to use all-in-one record keeping solution. 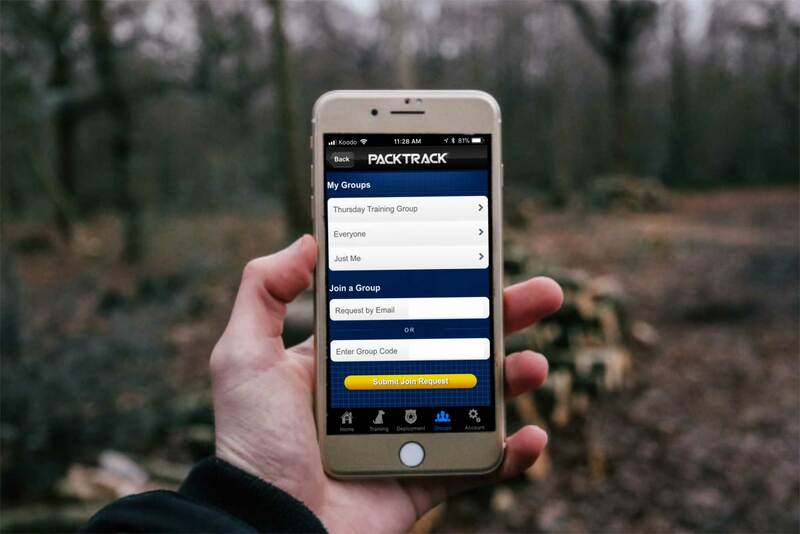 Capture your training and deployment information on-site with the PackTrack app, available for iPhone and Android. Prefer to use a keyboard? Simply log in to the website from your desktop or tablet. Your data is securely stored and fully synchronized on bank-grade servers running in the cloud. You can even begin entering a training or deployment record in the app and finish it later on the website. Detection records include intuitive options for recording the environment type and any associated odor details. Odor packaging information is tracked for both exercises and deployments. Detection exercises track whether the exercise was blind or a controlled negative as well as critical proofing item data. 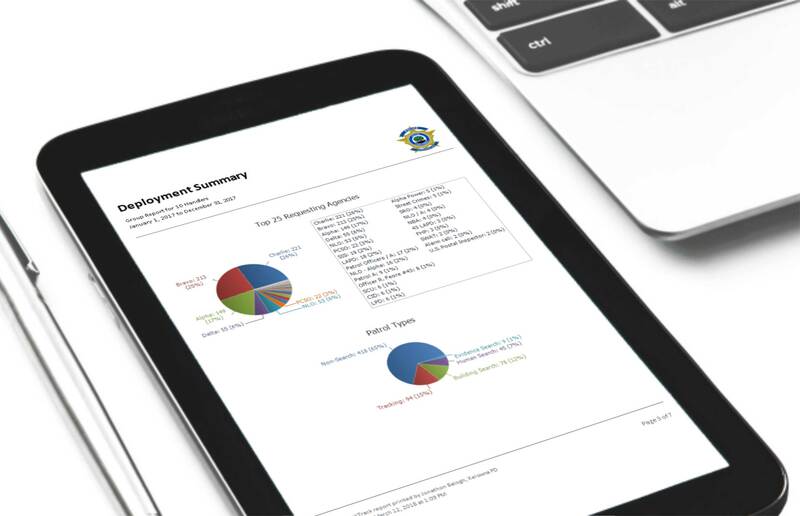 Patrol deployment records provide specialized fields for several activities including human search, evidence search, building search, tracking and non-search. Patrol exercises support the specific data fields required for obedience, agility, apprehension, searches and tracking. Let PackTrack handle the repetitive data entry. Filling out forms isn’t fun. That’s why we’ve carefully selected the minimum number of fields required to give you a complete record for each of your activities. All other fields are optional. We keep things simple by remembering what you typed from previous records. 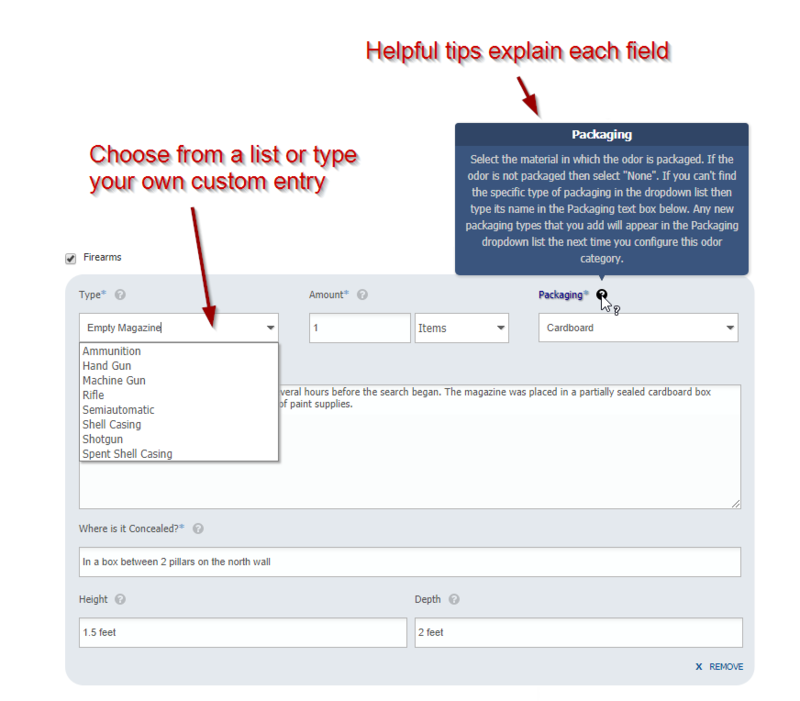 Dropdowns are used wherever possible with a preselected list of common options. 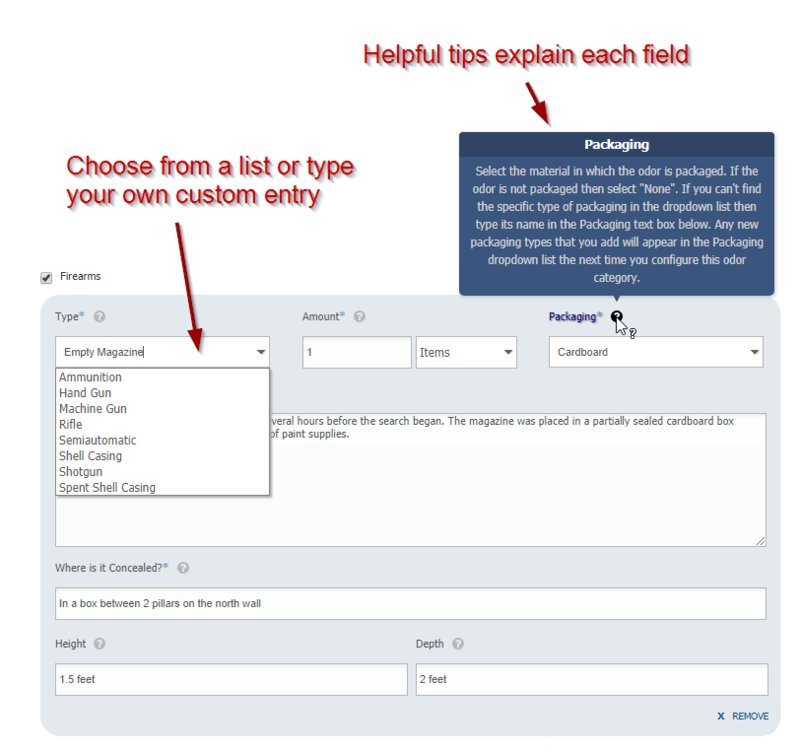 You can even customize many fields to your requirements. Need to add a unique drug or packaging type? Simply type it in and we’ll add it to the dropdown menu for next time. Previous narratives and professional samples give you a convenient starting point when describing your activities. Looking to enhance your records with additional information? 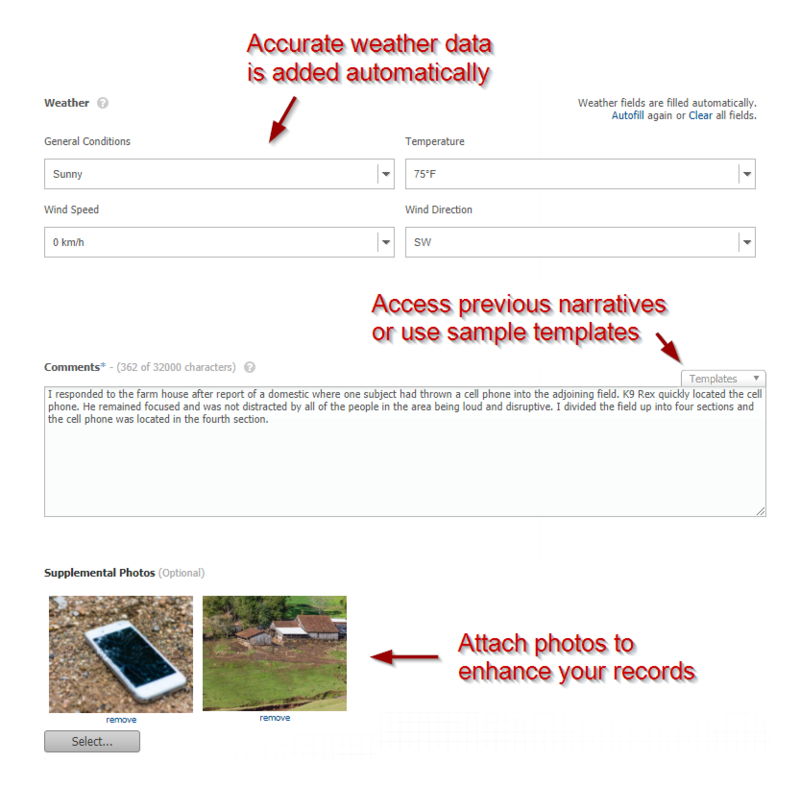 Use the mobile app to quickly identify and auto-fill your location data. 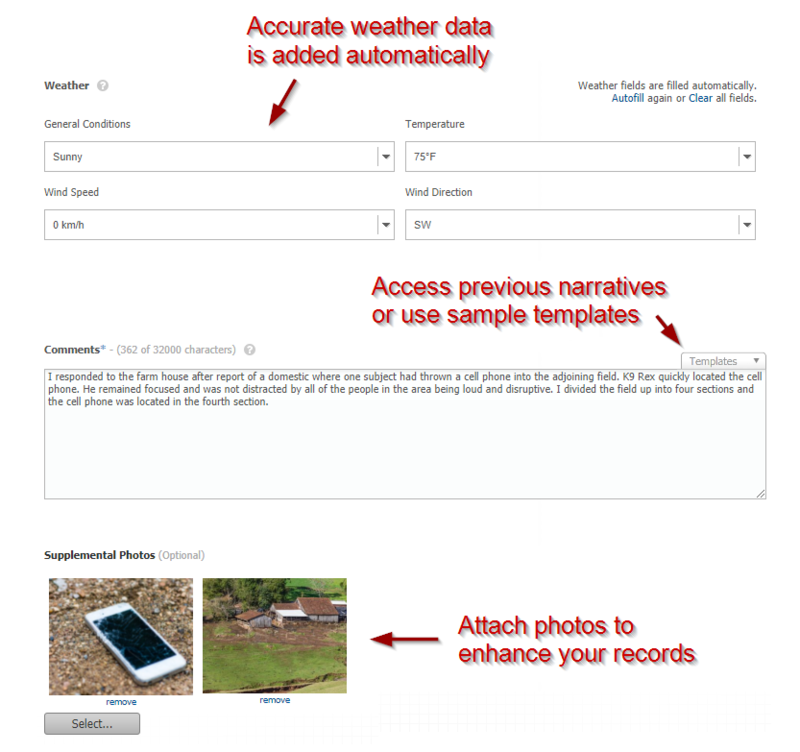 The web and mobile app accurately record all weather information for exercises and deployments based on the time and location where they occurred – even if they happened days or weeks earlier. Want to include pictures with your records? Photo uploads are also supported. 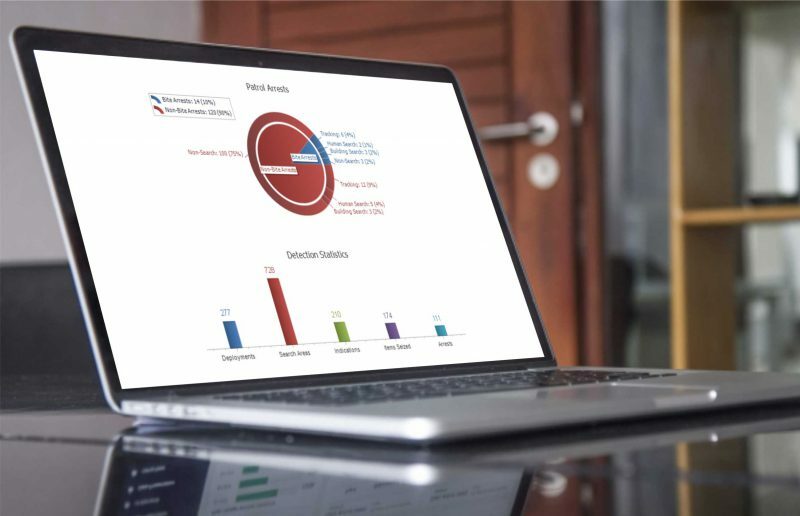 Summarize your records with great-looking reports. 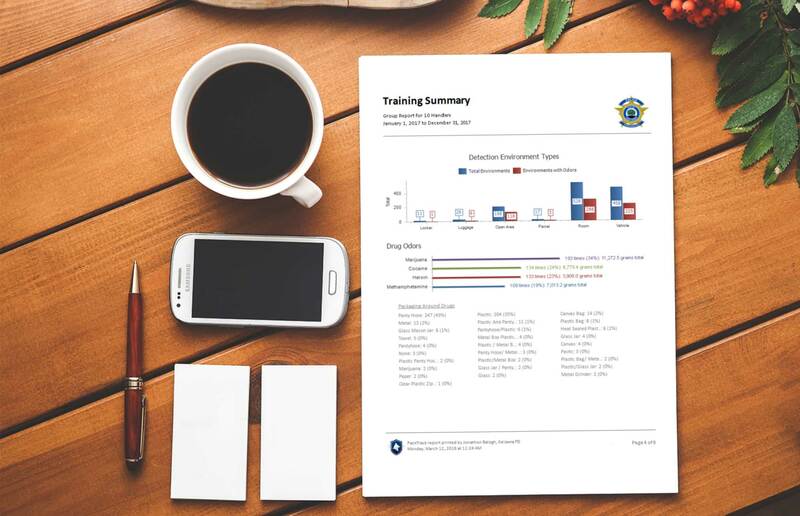 PackTrack’s comprehensive reporting system provides a wide variety of reports to give you a clear understanding of your training and deployment activities. 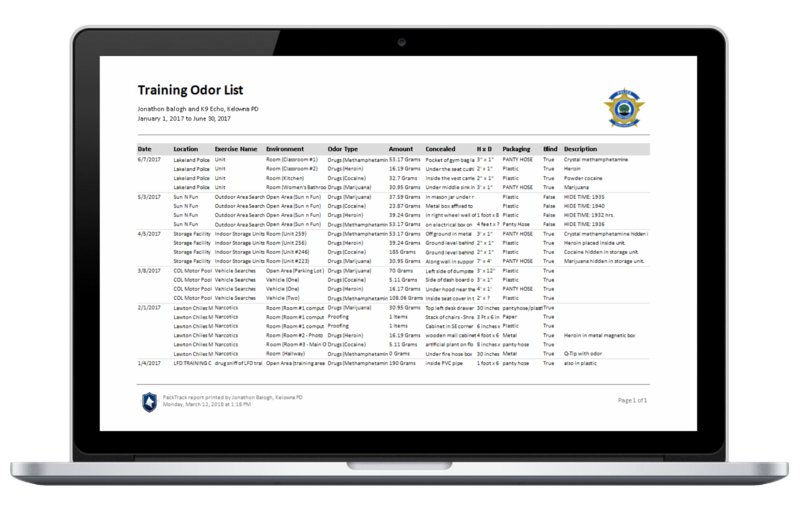 Need to show the boss how much time you spend training, the number of deployments in the last month or the last time you trained with a specific odor? Look no further. PackTrack’s accurate reports guard against potential liability issues by demonstrating your K9’s reliability in court. 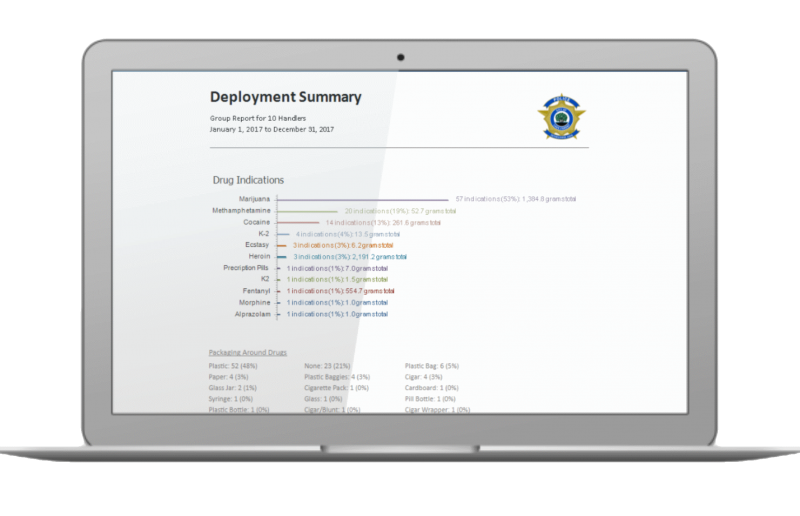 Individual exercise and deployment reports are designed to be easy to read while including all of the details that matter. The training and deployment logs give you a simple overview of each activity completed for a given period. Our detailed summary reports provide a highly visual overview of the requested training or deployment interval complete with powerful tables and informative graphs. 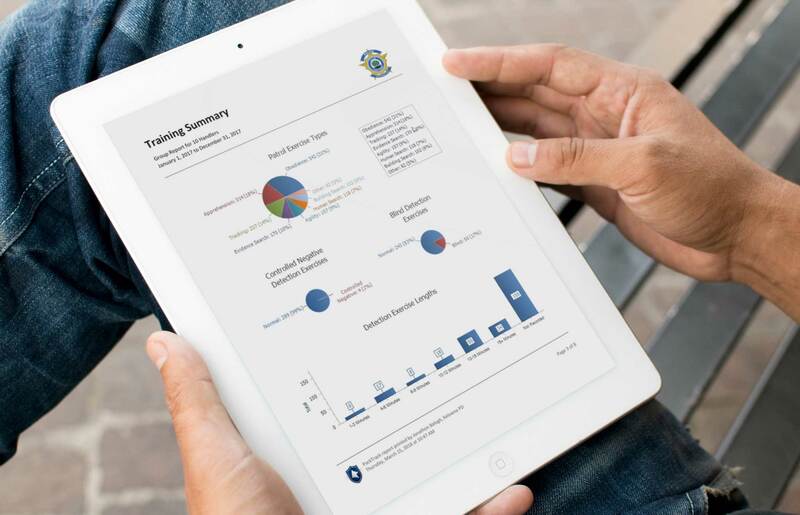 Approved supervisors and trainers have direct access to handler records and can generate individual or summary reports for one or many handlers. View reports onscreen or use our convenient export feature for printing or analysis. Reports may be exported as a Word document, Excel spreadsheet, PDF file, image, web page, text document, CSV and other formats. Get started with PackTrack now. Create training groups and share information to eliminate redundant data entry. 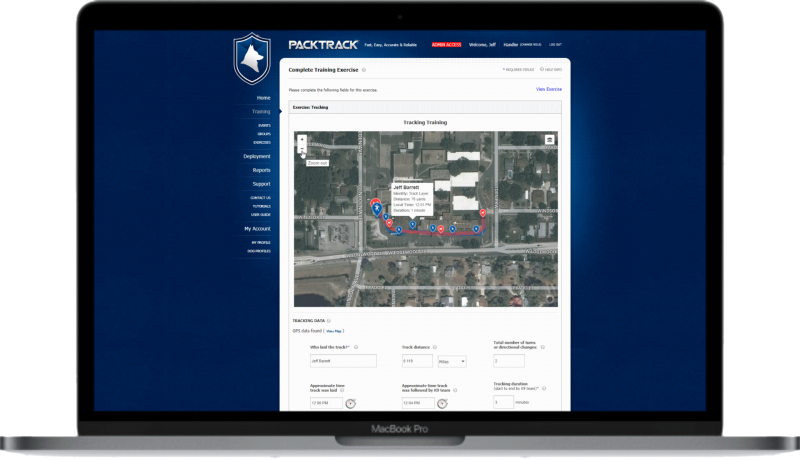 With PackTrack, you can create training groups for K9 handlers from the same or multiple agencies. Common data for each group training exercise is entered only once and automatically synced across the group. This eliminates redundant data entry and increases accuracy and uniformity. Individual K9 handlers simply enter their own performance specifics for each exercise. Each handler’s records are kept completely separate. PackTrack makes organizing and planning training events easy, leaving more time to focus on improving your K9’s abilities and reliability. 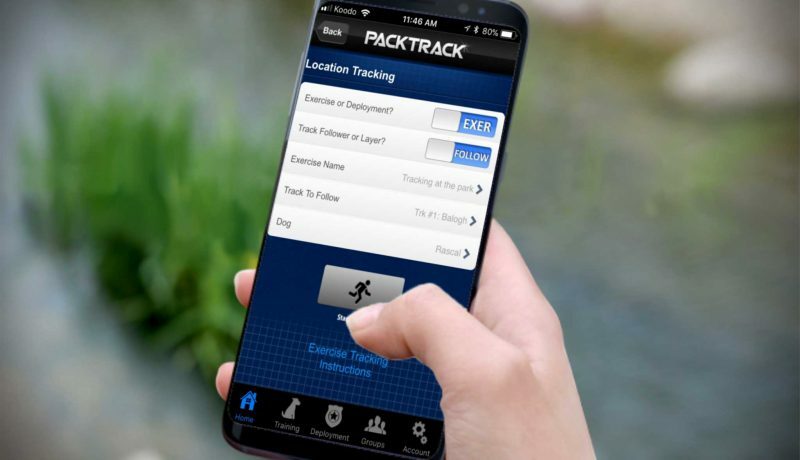 Track your K9 with the PackTrack mobile app. 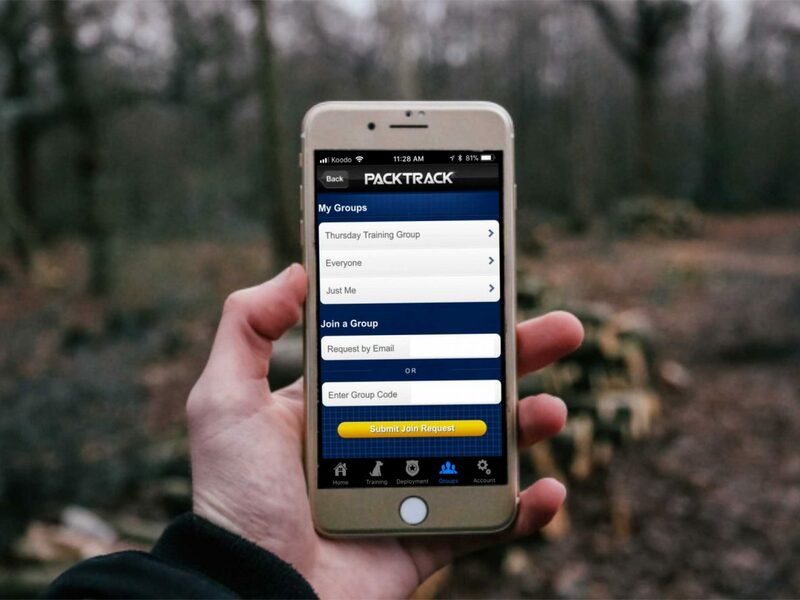 The PackTrack mobile app offers convenient and reliable K9 location tracking with the touch of a button. When you start a track, PackTrack records your changing position and attaches a live map to your deployment or exercise record. This map, which updates in real-time, can be viewed from the website by you or your supervisor. You can also add photographs which will be stored with the map as part of your exercise or deployment record. The system automatically determines the track distance, duration, number of turns, and time that the track was laid and followed. This information is then stored with the exercise or deployment record. 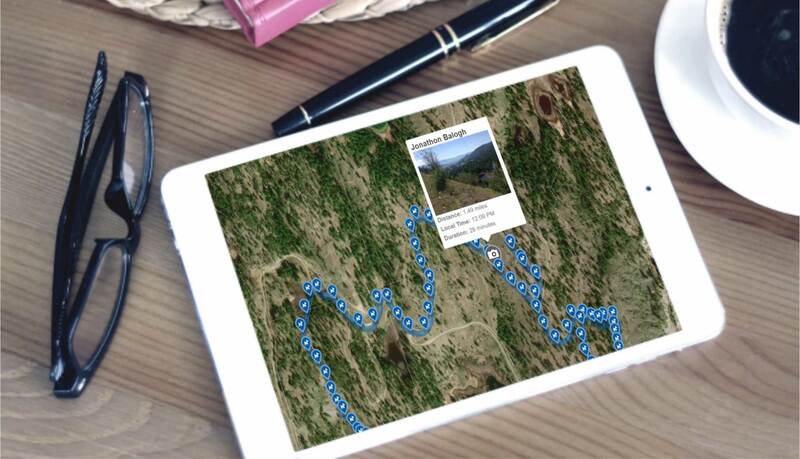 An image of the map and any pictures taken while tracking are automatically appended to the end of the printed report. Exercise tracks show the paths of both the track layer and track follower overlaid on the same map. This is helpful for reminding the handler of the paths taken and invaluable for analyzing and recording K9 tracking performance. When multiple handlers use location tracking on a deployment, their supervisor can monitor their progress on a tactical overview map which updates all of their positions on the same map in real-time. 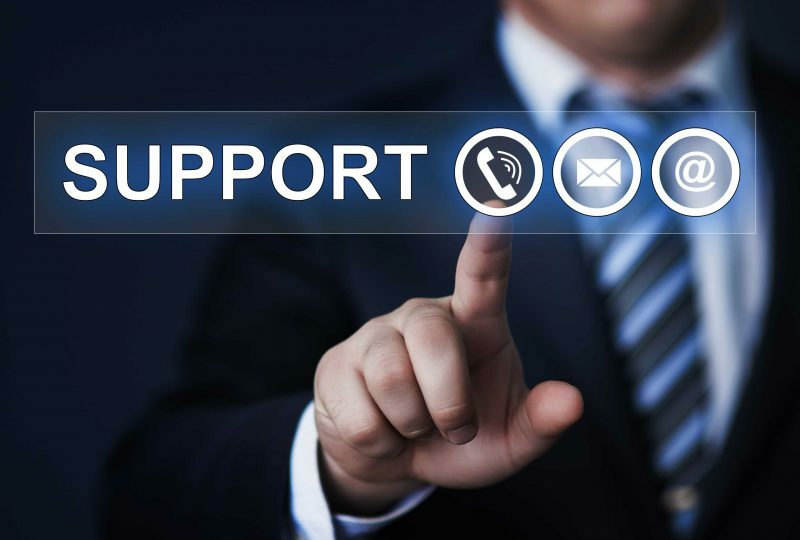 PackTrack is renowned for its dedicated and responsive support team. We know your time is valuable. 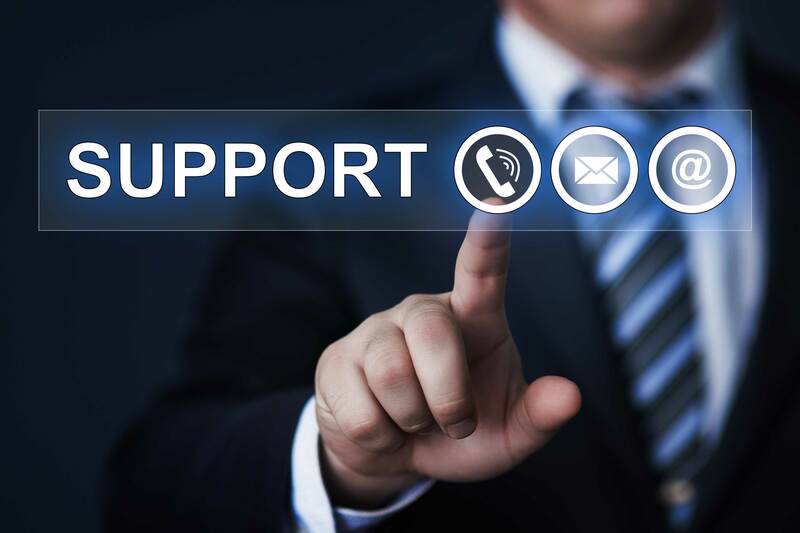 The support team is committed to making PackTrack work for you. We pride ourselves on answering questions and resolving problems quickly. Got a suggestion or comment? Need a new feature or refinement? We want to hear from you! PackTrack development is driven by your feedback. We’re growing rapidly. PackTrack is regularly updated with new features and enhancements based on our development roadmap and your feedback. Whether you’re a handler, trainer or supervisor, PackTrack has uniquely tailored views designed to give you the information you need. For example, trainers can add comments to each handler’s exercise which will be included in their reports. Need a list of arson detection exercises that used acetone during a room search last year? How about all deployments for a specific requesting agency where a building search resulted in a bite arrest? PackTrack’s search is guaranteed to save you time. Record training activities that don’t include your dog. Document your classes, take notes and attach reference materials. Then use our concise reports to print a summary of your classroom work. 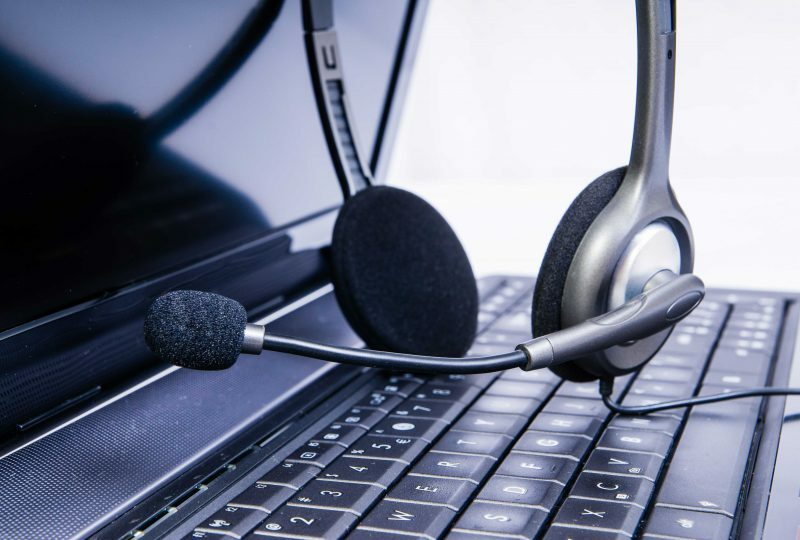 Supervisors have full access to their handlers’ training and deployment records and can share those records with other supervisors even if they’re from a different agency. Handlers may upload training certificates or any other reference files to be stored with their personal profile or their dog’s profile. Uploaded files are securely stored and available for viewing or download.